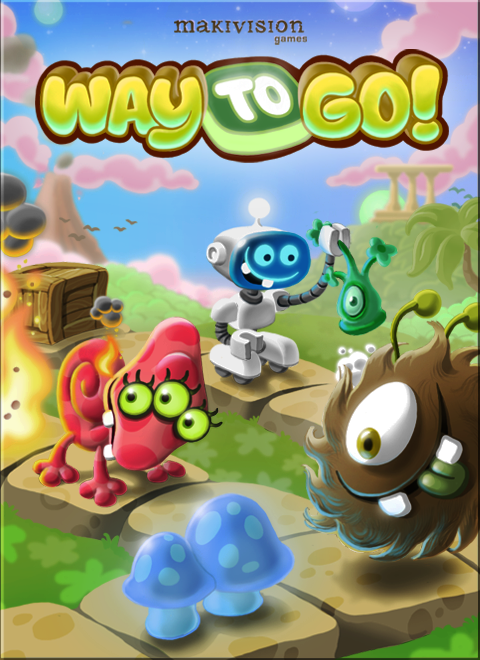 Vincent Paone of "Dad's Gaming Addiction" did a very nice review of Way to Go!. He even made a video from a gaming session in which he explaines in detail how the game works. You can find both here: Dadsgamingaddiction.com recommend that you hop over to his site and take a closer look. The video shows some easy levels from the beginning of the game. If you want to try a selection of easy and more difficult levels yourself just download the free demo:http://www.waytogo-game.com/index.php?cat=Demo&page=DemoDemo availabe for Windows, Mac and Linux in English, German, French, Spanish and Italian. Cute and challenging - for Windows, Mac and Linux. We have sent Desura keys to Shinyloot so everybody who bought Way to Go! at Shinyloot will also get a Desura key. I just picked this up on Shinyloot during the launch sale. It's nice to see a logic game with such a friendly aesthetic. Any chance of adding Desura keys to the shinyloot store for buyers there? I'd prefer to have it on Desura, and some of the people I'm recommending it to would as well. Tweeted your game to my followers! good luck!